The Serta Tranquility crib mattress is a great option for the green-friendly individual. The mattress is eco-friendly, organic and hypo allergenic. It provides a strong, stable and long-lasting mattress for families that want to make one mattress purchase to last for all of their children. This particular mattress is a little on the higher end of price, averaging about $150 per mattress. It may not be a good option for consumers on a tighter budget. 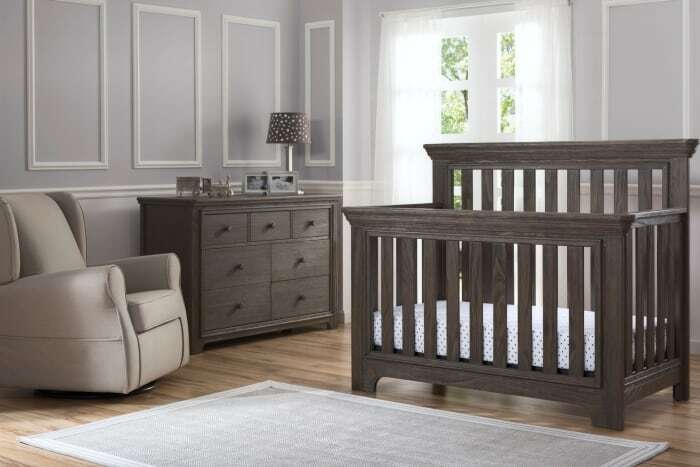 It can also not be delivered to Alaska or Hawaii through many online retailers, limiting crib mattress options for consumers in those two states. 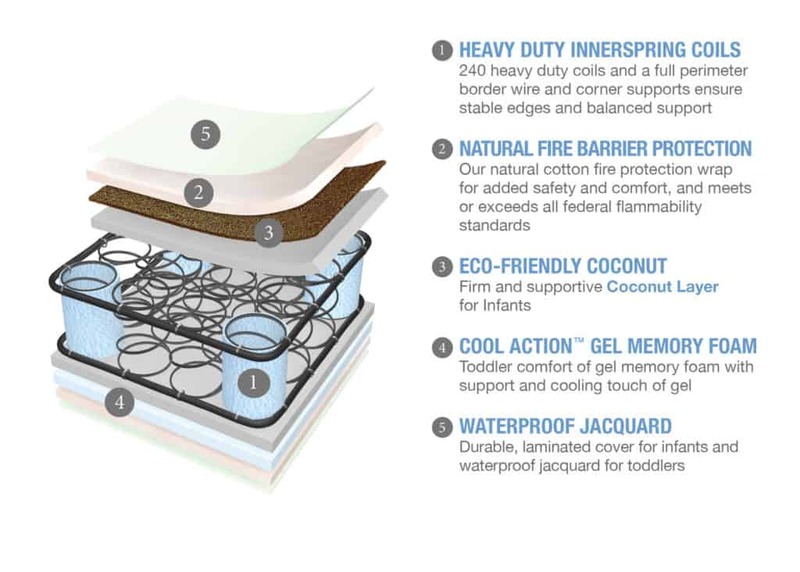 The Serta Tranquility crib mattress is built with 120 heavy-duty innerspring coils that ensure long-lasting firmness and air vents to keep the mattress smelling fresh. This mattress also has two sides, one for infant use and the other for toddler use. The infant side is of the correct firmness whilst the toddler side features a comfy layer of organic cotton. This mattress also meets GREENGAURD eco-friendly standards and offers the lowest chemical emissions possible within the mattress to improve the quality of air indoors. 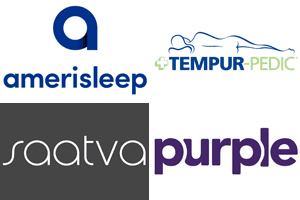 The Serta Tranquility crib mattress can easily be purchased online from several online retailers. It can be ordered directly from Amazon and consumers that also have Amazon Prime can get the mattress with free two-day shipping. This mattress is also available on wayfair.com and offers free shipping. Many furniture stores also carry this item in store if consumers desire to test out the item before purchasing. The Serta Tranquility crib mattress can be found online through many retailers for around $150 to $170. Several online retailers, such as Amazon and Wayfair offer this item with free shipping as well. While it is on the higher end of price in the market of crib mattresses, its eco-friendly status, durability and comfort make it a great option for consumers that looking for a high-quality, long-lasting mattress. 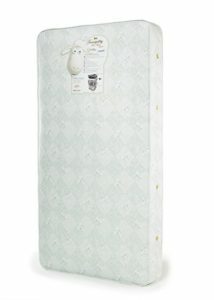 The Serta Tranquility crib mattress boasts a five-star rating on Amazon.com as well as on Wayfair.com. Many reviewers comment that the mattress is durable and long-lasting. Additionally, many find the two-sided option of this mattress to work well with the current needs of their child. The fact that this mattress emits very little chemical emissions is another positive noted by consumers. Overall, customer satisfaction for this product is high and consumers can expect to receive a high-quality, long-lasting product.